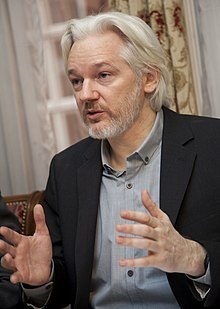 Shortly before the 2016 US Presidential election, Australian Julian Assange, founder of WikiLeaks, released thousands of emails in a deliberate attempt to undermine the candidacy of Hillary Clinton. One would think that the current Administration would be grateful to Assange for his efforts to help the election of President Donald Trump. Recently, the secret indictment of Julian Assange has come to light. As Mr. Assange long suspected, the US government hopes to arrest him for espionage once he is finally expelled from the Ecuadorean Embassy where he has been living for the past several years. Former Assistant Secretary to the US Treasury Paul Craig Roberts has spoken out in defense of Assange. Mr. Roberts explains why Assange is a journalist and not a spy here . What does that mean for journalists and pro-lifers? There used to be a saying that freedom is like oxygen – you don’t notice it until you don’t have any. The air seems to be getting pretty close around some aspects of free speech. We in the pro-life movement depend on free speech to speak for those who cannot speak for themselves, the unborn children who are ruthlessly murdered every day in the USA. In fact, the inability of preterm infants to speak up for themselves has demonstrated the truth of General Washington’s remarks. Since they cannot speak up for themselves, children are slaughtered every day in our country. Only God knows what is in store for us, and we must pray the rosary every day for ourselves and our nation that God will grant us peace and save our country. Austria, Brazil, and the Phillipines were saved by the prayers of patriots in those nations who asked God to deliver their countries from Communism. Let us pray the rosary every day that God will save our country. 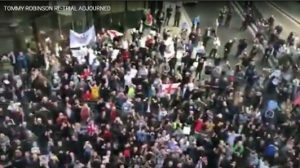 LONDON, ENGLAND – Today Tommy Robinson won his freedom after his Court of Appeal victory, and has gone home to his family. He will have to attend another court case in Leeds shortly. Ever since the signing of the Magna Carta in 1215, the concept of free speech has been developed and cherished by those in England and later in the USA. As pro-lifers, we depend on free speech to help parents decide for life and to persuade abortionists to stop murdering patients. 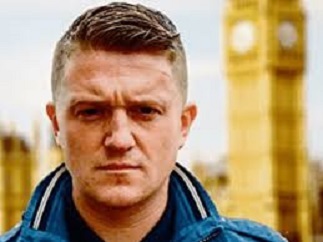 Thus, when we see a journalist and social activist like Tommy Robinson jailed merely for exercising the right to freedom of speech, we must step forward and protest loudly. Even President Trump’s Ambassador for Religious Freedom, Sam Brownback, lobbied for Tommy’s release in London. 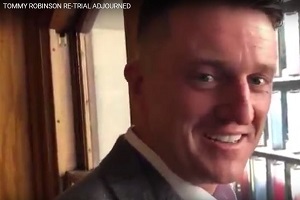 Police arrested Tommy Robinson on May 25, 2018 for reporting on a Leeds court case . His friend and colleague Ezra Levant raised money for his legal defense fund, and reported in London on the case. You can see his coverage here. Robinson’s attorney Carson Kaye said in his statement that: “The rule of law and the right to a fair hearing are fundamental to every individual and this ruling an example of the procedural safeguards of our system, and its potential for protecting every citizen equally. Since the decriminalization of abortion in the West, the rule of law has collapsed. Parents and abortionists can murder their children without even a fair hearing for the child. If an innocent child has no rights, then what about the rest of us? Is it any wonder that Tommy Robinson has languished in jail while the child rapists he discussed in his videos go free? St. Ambrose taught that we must work as if everything counted on our work, and pray as if everything counted on our prayers. That is why we must continue to pray and work for the end of abortion, and that the rule of law will be re-established throughout the West. Pray the rosary every day for your country, that God will end abortion and deliver us from the tyrannies that threaten us.